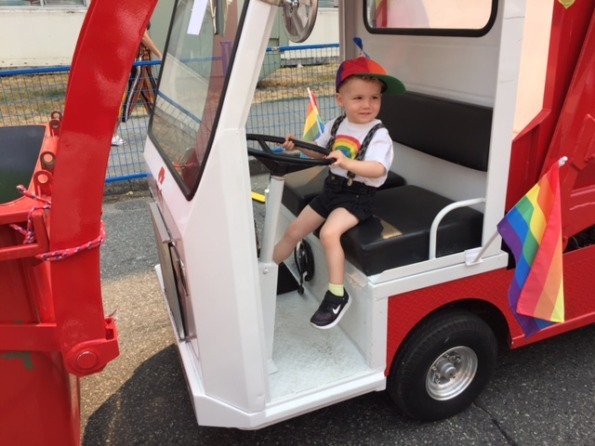 Waste Control’s mini garbage truck made its debut at Vancouver’s 2017 Pride Parade last weekend! It sure was an exciting event to be a part of and the amount of love and support for the LGBTQ2+ community our city expressed was truly heartwarming! WCS entered the parade in support of the LGBTQ community while helping spectators recycle with pride along the way. During the parade WCS staff collected used plastic bottles and many full bags of bottles were taken back to our facility to be recycled. Our parade float is electric and created to be a mini version of our front load trucks. Here’s a video of the truck in action via youtube user LittlegmaNick!